A hacker in Russia claims to have gained access to millions of passwords and is seeking help in removing the encryption. LINKEDIN HAS TWEETED to say it’s investigating reports that millions of its users’ passwords have been stolen and posted online. A Russian hacker has posted on an internet forum, claiming to have stolen 6.46 million passwords in an easily-solved ‘hashed’ form. The Verge reports that while while the hacker’s claims have yet to be verified, it looks likely that both usernames and passwords may have been downloaded, while several users said that they found their real passwords contained in the information posted online. It’s also reported that the hacker has sought the help of others to help him with revealing the passwords. According to CNET this news comes soon after security researchers said that LinkedIn has been collecting information via its app – calendar entries, passwords and meeting notes, without the users’ knowledge. LinkedIn has responded to the claims, stating that it does not store calendar information on its servers, and that meeting notes data will no longer will no longer be sent to its servers. LinkedIn has also said that it asks users’ permission before accessing their calendar, and that this will continue to be an opt-in feature. Email “Almost 6.5million LinkedIn passwords apparently leaked online ”. 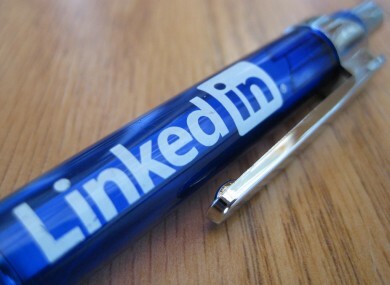 Feedback on “Almost 6.5million LinkedIn passwords apparently leaked online ”.